The Meadow Drive School community, part of the Mineola Union Free School District, raised more than $2,800 this fall for JDRF Walk to Cure Diabetes. The JDRF walk is held annually and has become an international effort, raising nearly $5 billion for researching a cure and supporting the Type 1 Diabetes community. Several Meadow staff members and students participated in the official JDRF walk in October. 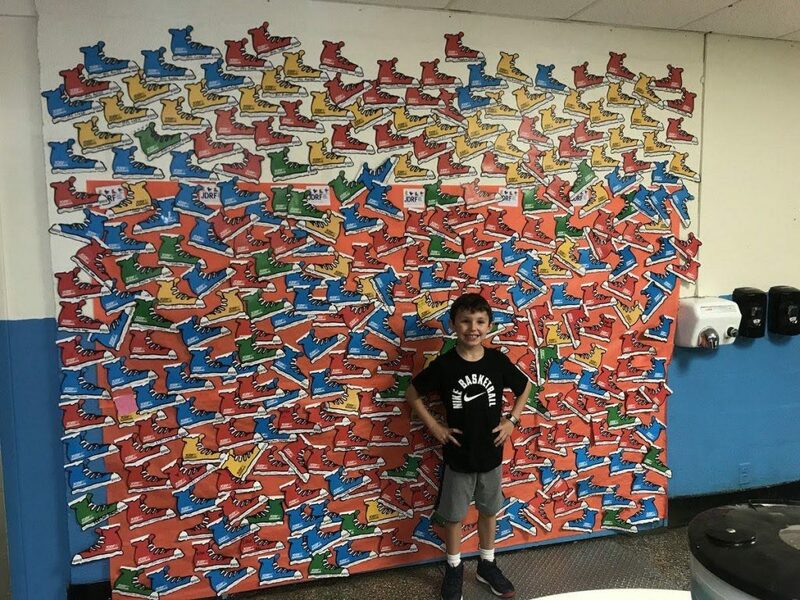 Photo caption: Marcelo Patron, a second-grade student at Meadow Drive who is diabetic and whose family is very involved with the organization, is pictured in front of the wall bearing the names of all who donated to the cause from Meadow Drive.